There has never been a better time to travel to Eastern Europe and Russia – stunning new hotels are opening at an ever-faster rate, fine dining has reached new heights and cultural sights are being restored to their former glory throughout the continent. In fact, if you haven't been to this part of the world for more than four years, you really haven't been there at all! We know that travelers are looking for experiences that go beyond the ordinary. No one wants to be a "tourist" and we arrange our programs so that you never feel like one. The thought of a bus carrying forty tourists together or a group walking through a museum following a guide holding an umbrella is something we wouldn't wish upon any traveler and we won't do it to our guests. The Exeter International experience is about finding that perfect, yet hidden café and meeting the director of an art gallery who leads the local art scene. It's about going into places where the general public isn't allowed (look for our Exeter International Extraordinary Experiences) and having the perfect guide to point out things that aren't in any guidebook. We are proud to have been listed since 2001 on both the Conde Nast Traveler Special Agents list and the Travel + Leisure A-List of Travel Agents, and we are the only company to be listed on both lists for Russia and Eastern Europe. Our small group itineraries focus on the art and culture of each city and feature exclusive "invitation-only" tours: backstage at famous theaters and gala meals in private castles and palaces. 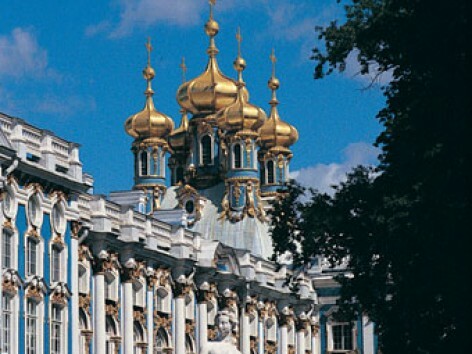 We offer scheduled tours through Russia and much of Eastern Europe. These tours spend more time in each city than almost any other tour: 2-5 days minimum. The maximum group size is 20 PAX and we have no minimum group size on any of our group tours so departures are guaranteed (some special tours excepted). We are excited to be introducing several new small group itineraries including a trip through Poland (Royal Cities of Poland), Munich, Salzburg and Vienna (Fairytales and Symphonies) and Kiev, Crimea, Istanbul and Cappadocia (Tsars and Sultans). We are also introducing several new destinations for individual travelers, including Lake Baikal and Kamchatka in Russia, Slovakia and the Caucasus. Our travel consultants will be glad to craft a journey to just about any part of our world that meets your particular needs and we look forward to showing you a new world beyond your expectations.